Saving previews using the command line option. RF5 (Windows® version) let you save the previews in avi format but now you can use external applications to save your previews using the file format (the container of the video), and the codec (the compression type) you prefer, so this expand all the possibilities and improve your pipeline. For this I am using a open-source app like ffmpg, http://www.ffmpeg.org/, you can find a lot of information about this application, if you are not familiar with the compilation process you always can look for an installer in Internet. Once you have installed you will need to make it accessible adding the place to the system path. 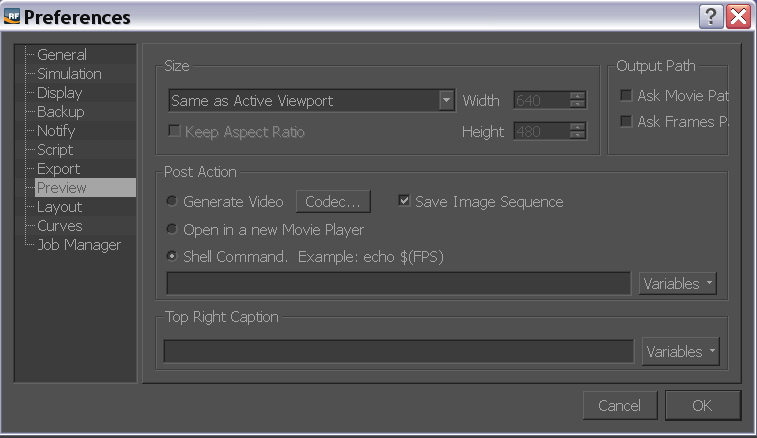 Open RF and go to the Video preview preferences and select the “Save Image Sequence” and the Shell Command…” option. where %05d is number of digits.